Southern and Western states have the highest rates of white firearm suicide, while Midwestern states have highest rates of black firearm homicide, according to new research from McGill University. The findings place a spotlight on states where firearm policies may help reduce homicide and suicide rates. Gun violence has a long history in the U.S. Less understood is how homicide or suicide varies amongst black and white men across states US states and how household gun ownership influences them. To find out, researchers from McGill University in Canada used data from death certificates to identify firearm homicides and suicides that took place in each US state between 2008 and 2016 and calculated how these differed among black and white men. Corinne Riddell, a postdoctoral fellow in the Department of Epidemiology, Biostatistics and Occupational Health, and her colleagues, also wondered if U.S. states with higher rates of gun ownership also have more gun violence. 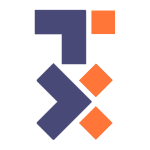 To do so, they used their data to investigate the relationship between homicide/suicide rates and state household gun ownership for both groups. 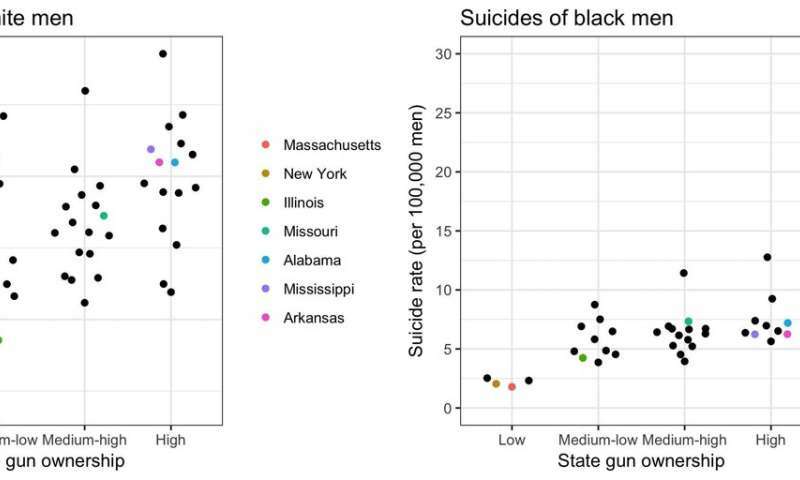 Their results, published in a forthcoming study in the Annals of Internal Medicine, describe a complex relationship between suicide and homicide rates, race and levels of state gun ownership. Southern states with high rates of gun ownership such as Mississippi, Alabama and Arkansas, had among the highest rates of both firearm homicide and firearm suicide for white men. On the other hand, states with less gun ownership (Massachusetts, New Jersey, Rhode Island, Connecticut, and New York) had the lowest rates of both homicide and suicide. "Looking at these numbers by state offers an interesting perspective," says Jay Kaufman, professor in the Department of Epidemiology, Biostatistics and Occupational Health in McGill's Faculty of Medicine and senior author of the new study. "For white men, higher rates of gun ownership seem to be strongly associated with higher rates of suicide and homicide." In contrast, the researchers found only a modest association between rates of firearm homicide and firearm suicide for black men. Whereas Northeastern states with low gun ownership also had the lowest rates of black firearm suicide, Corinne Riddell points out that states with medium to high rates of gun ownership had both high and low rates of homicide. "In a state like Michigan, which has relatively high gun ownership, black men experienced 49 firearm homicides per 100,000, wheras in a state like Texas, which also has relatively high gun ownership, the figure was 18," explains Riddell. 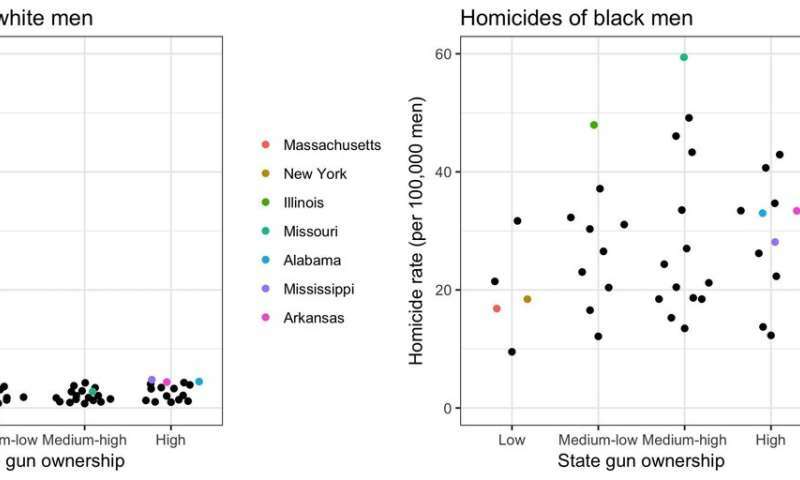 This suggests that different factors may influence rates of firearm homicide for black and white men from state to state. "Nationwide one-size-fits-all gun control legislation might not be sufficient to eliminate racial disparities in firearm violence," said Riddell. Prior studies have shown that in the U.S., black men are 10 times more likely to be killed by someone else, and 80% of these homicides occur with firearms. White men are 3 times more likely to commit suicide and about two thirds of these deaths involve a gun. More information: "Comparison of rates of firearm and non-firearm homicide and suicide in black and white non-Hispanic men by US state," Corinne Riddell et al. Annals of Internal Medicine, 2018.